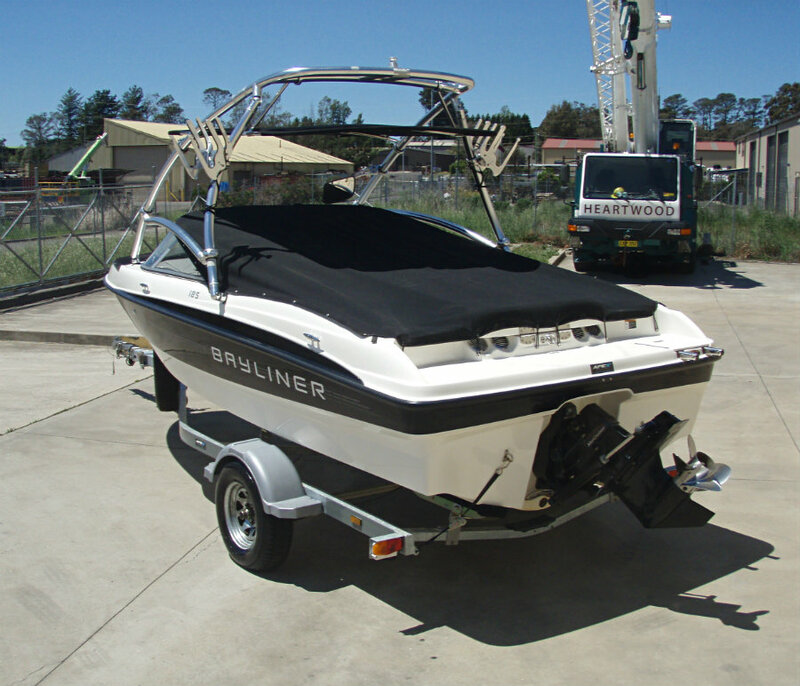 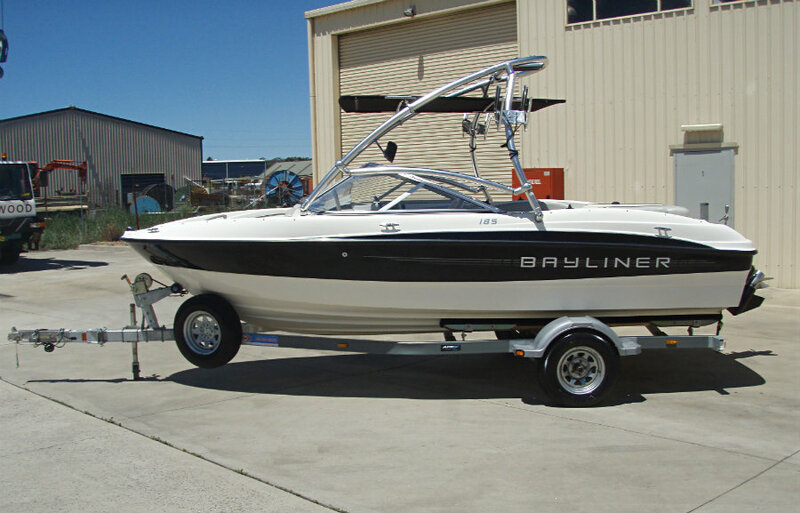 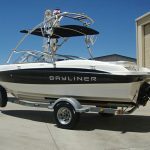 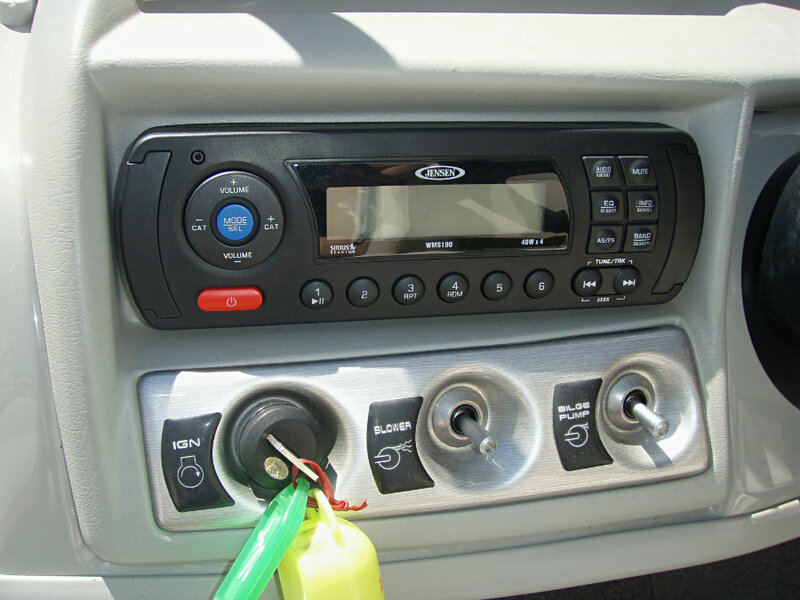 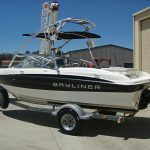 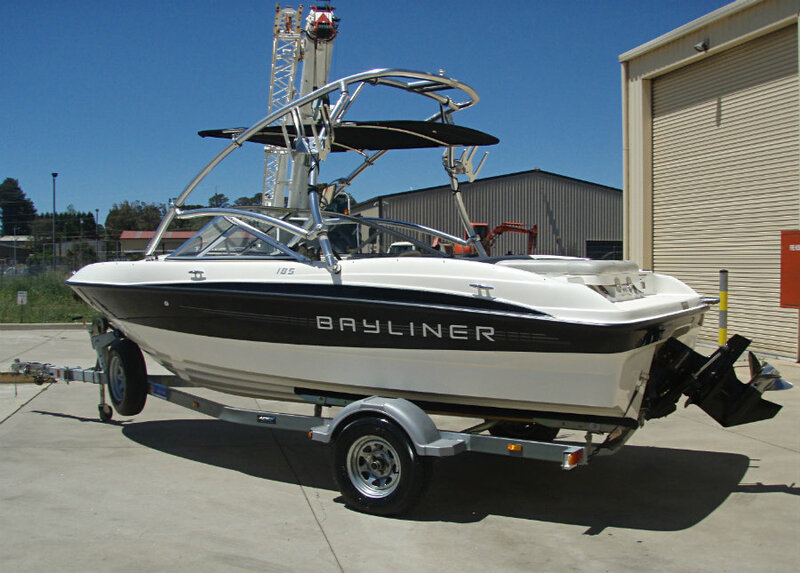 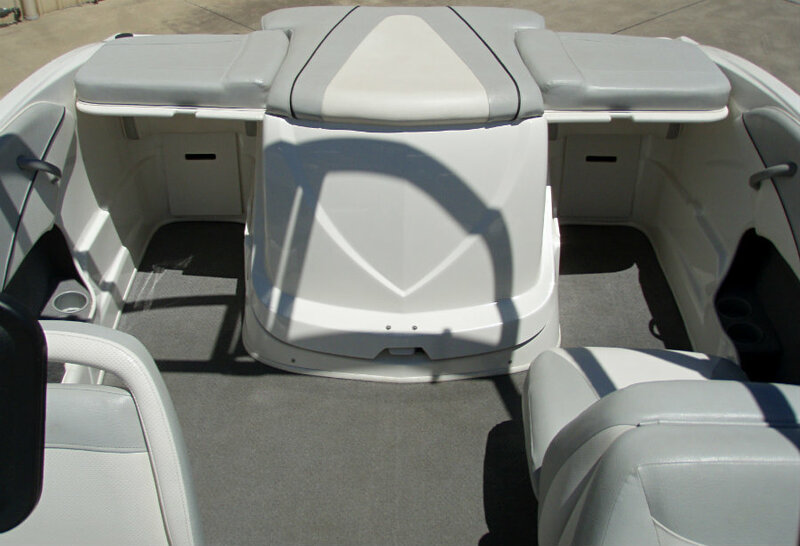 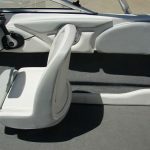 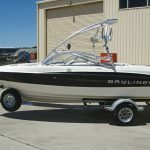 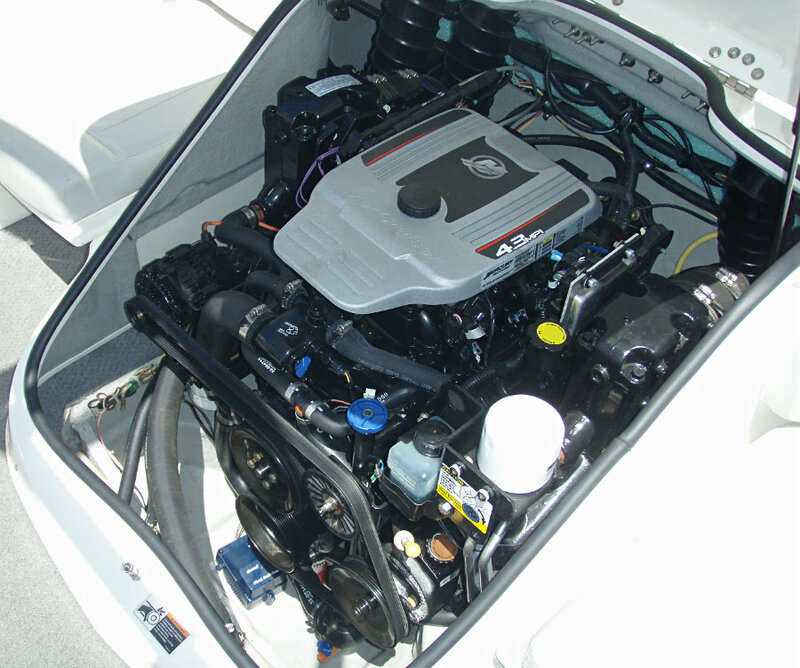 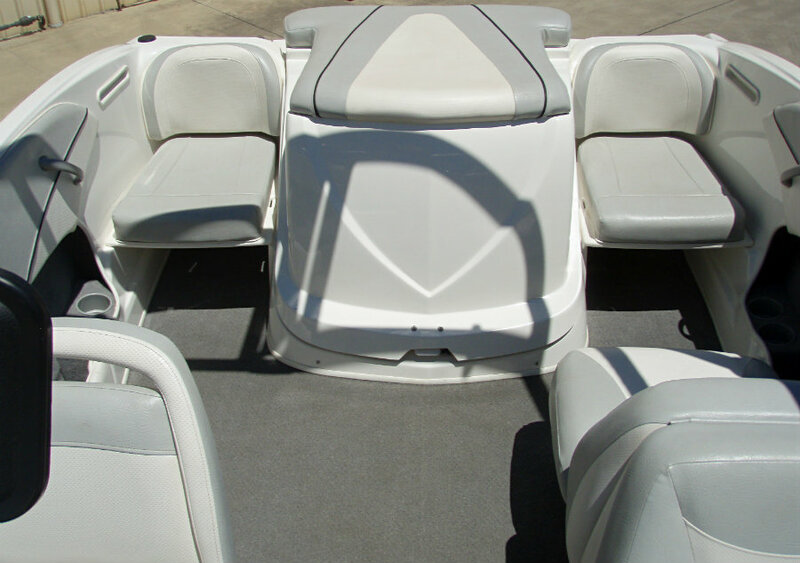 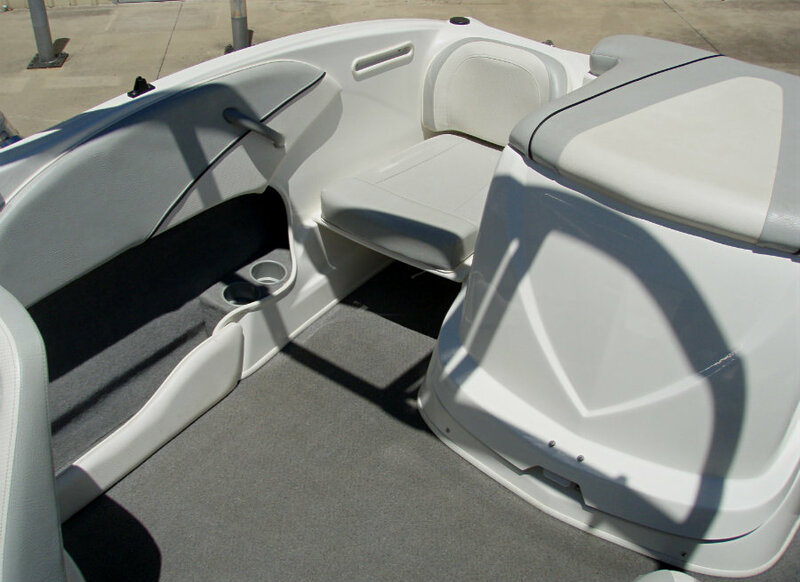 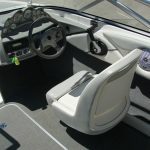 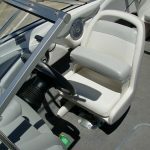 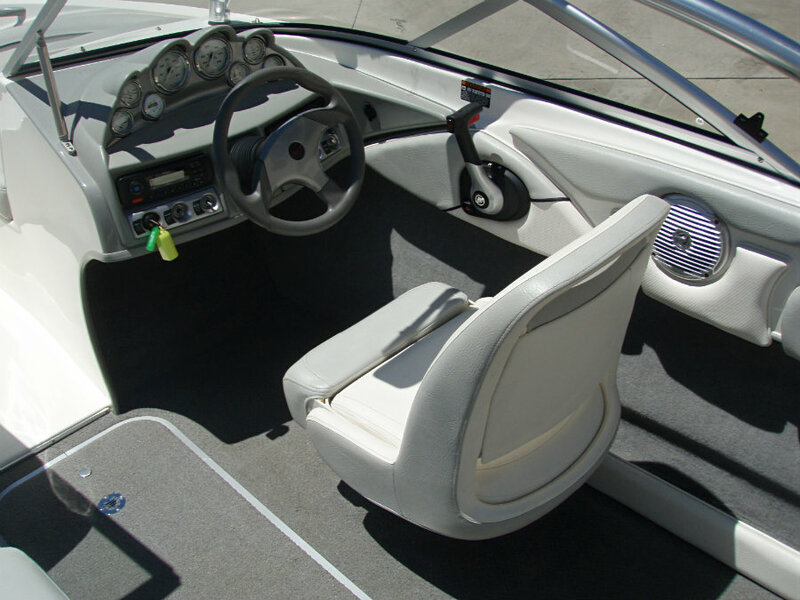 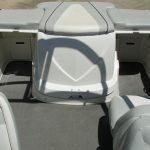 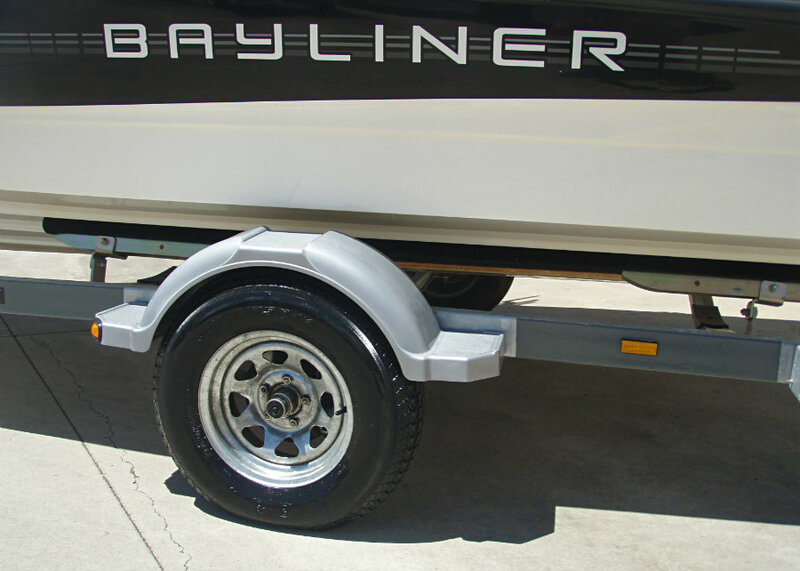 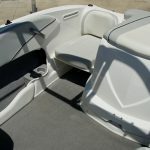 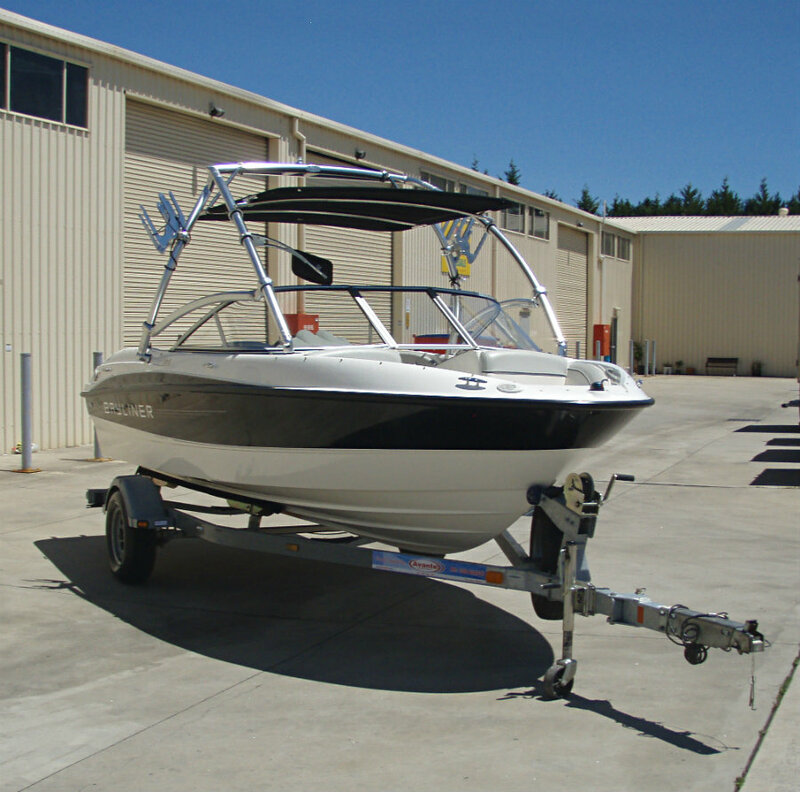 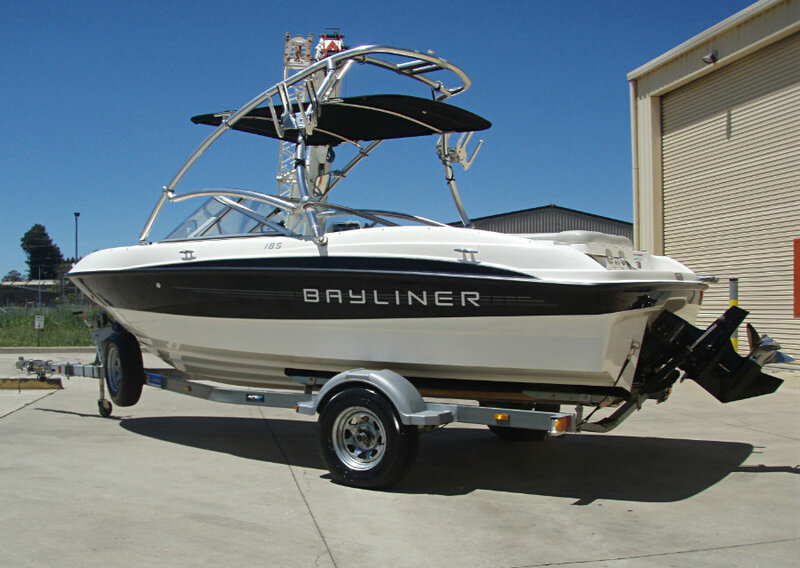 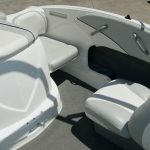 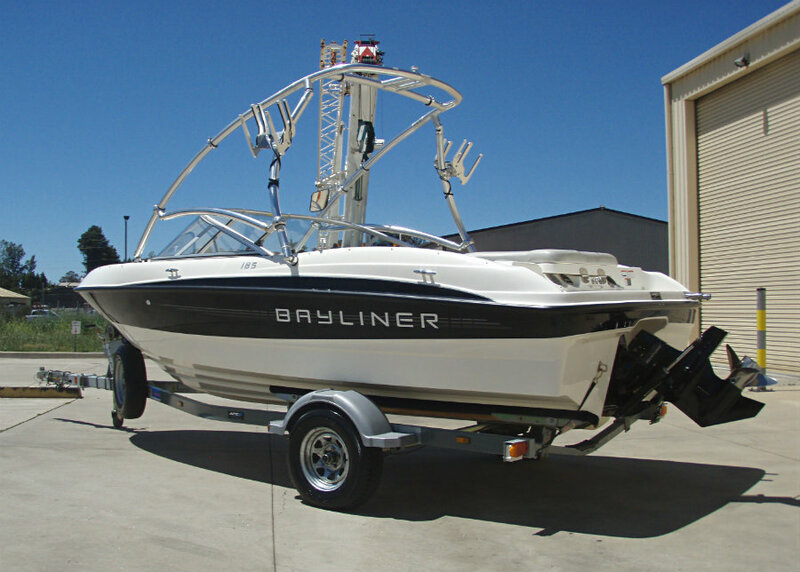 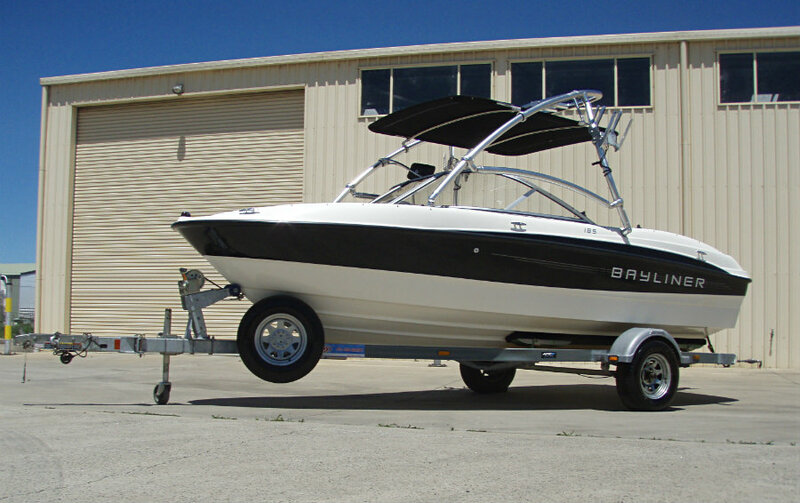 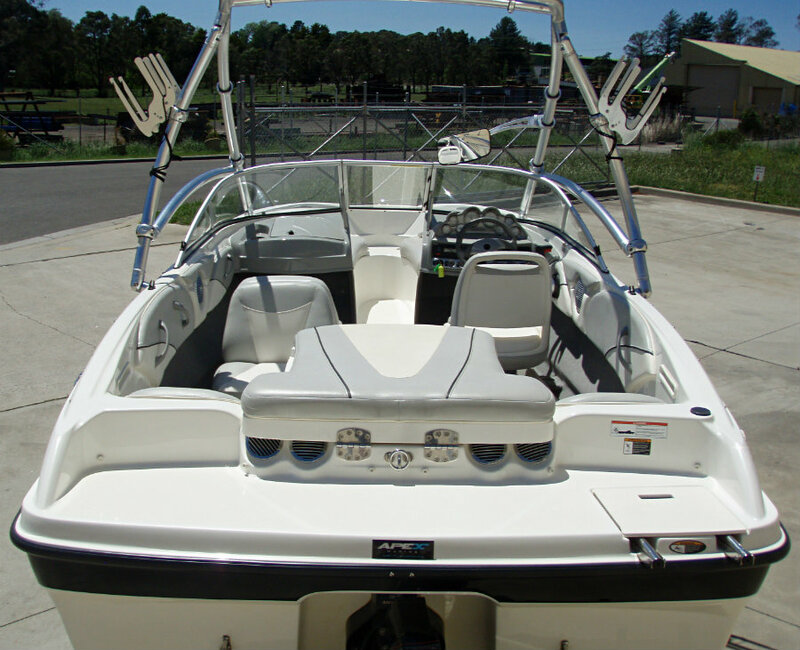 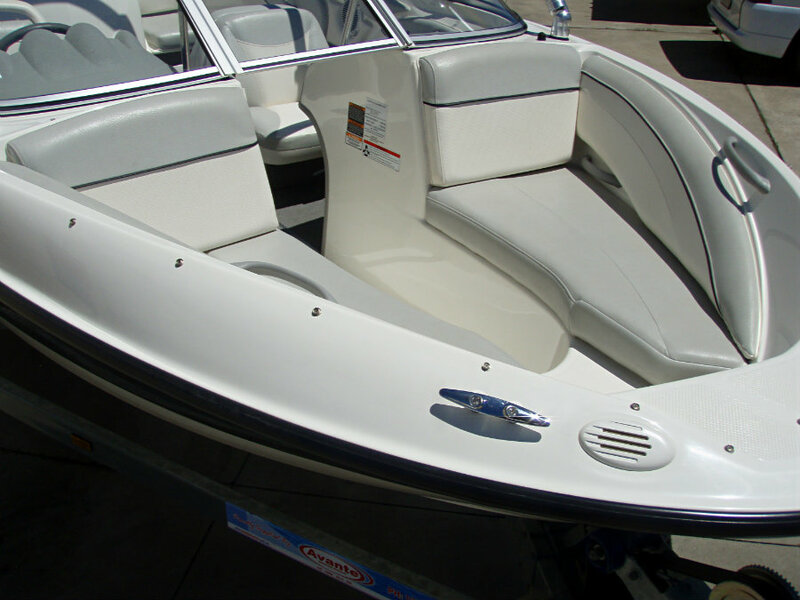 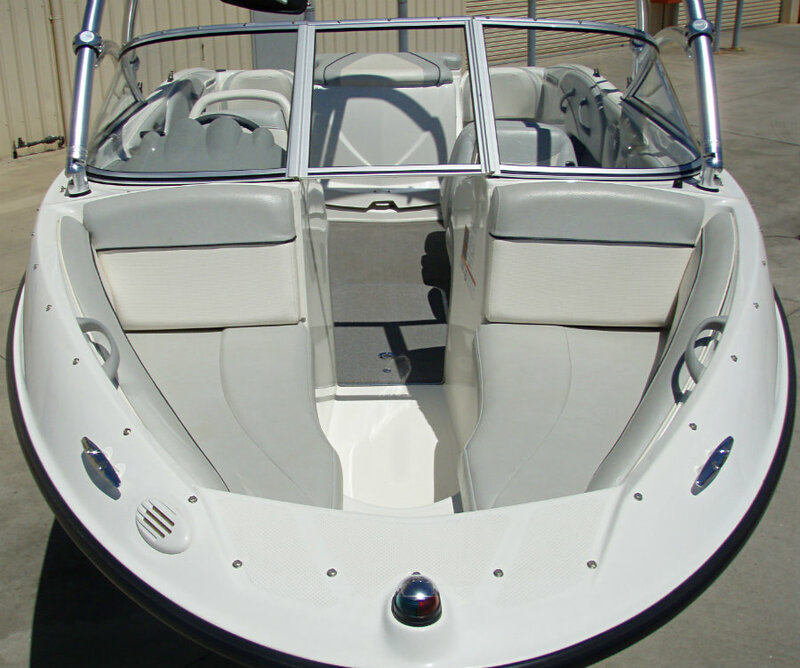 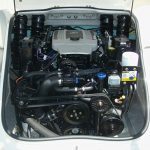 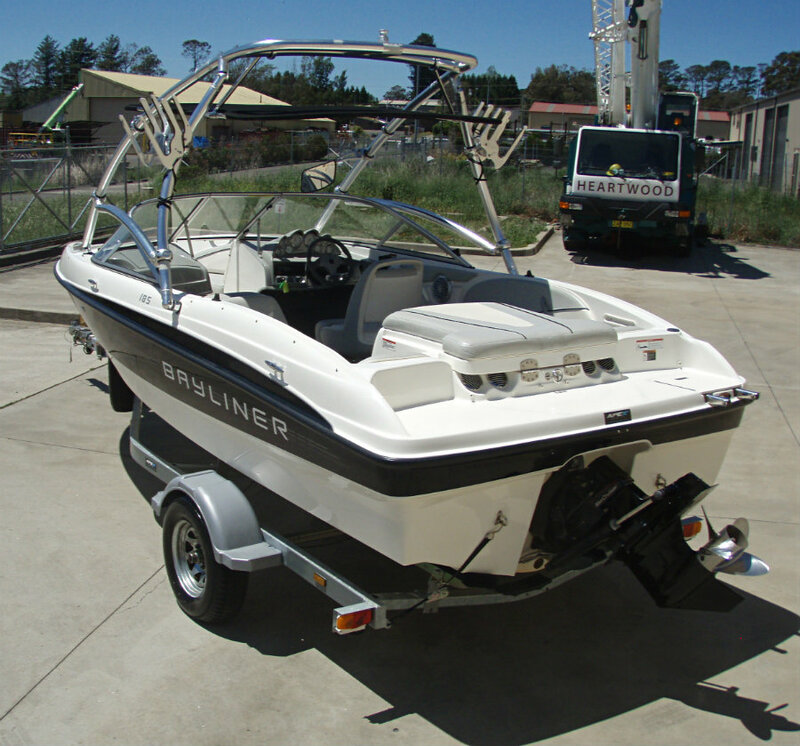 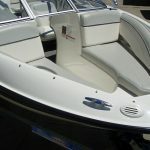 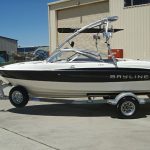 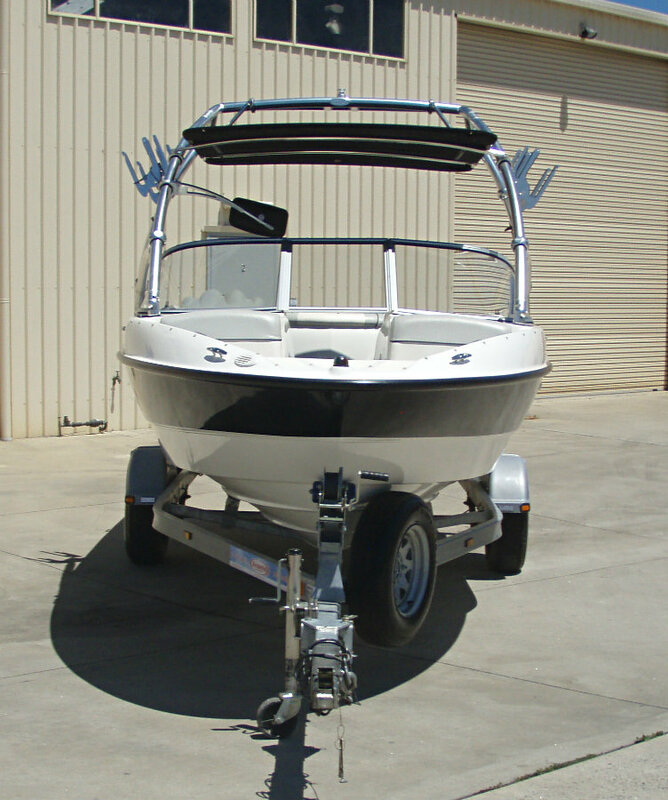 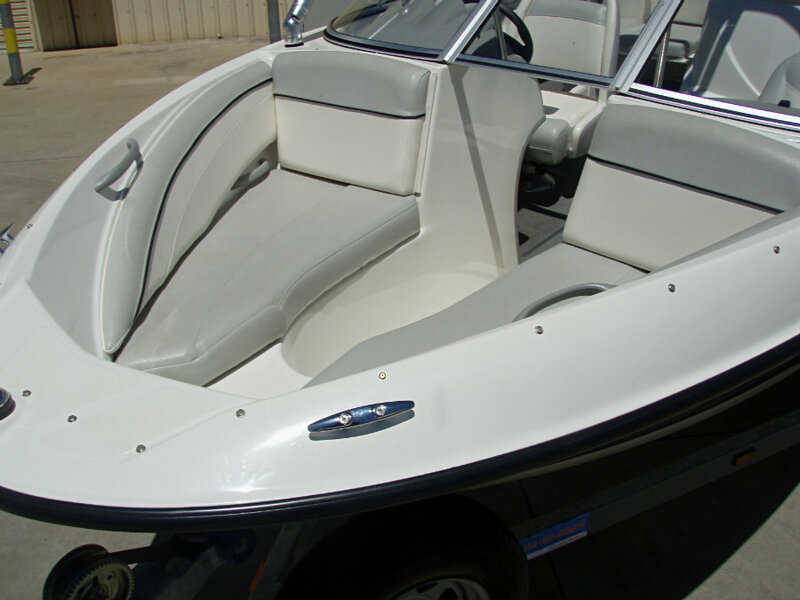 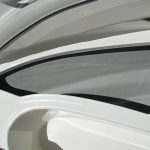 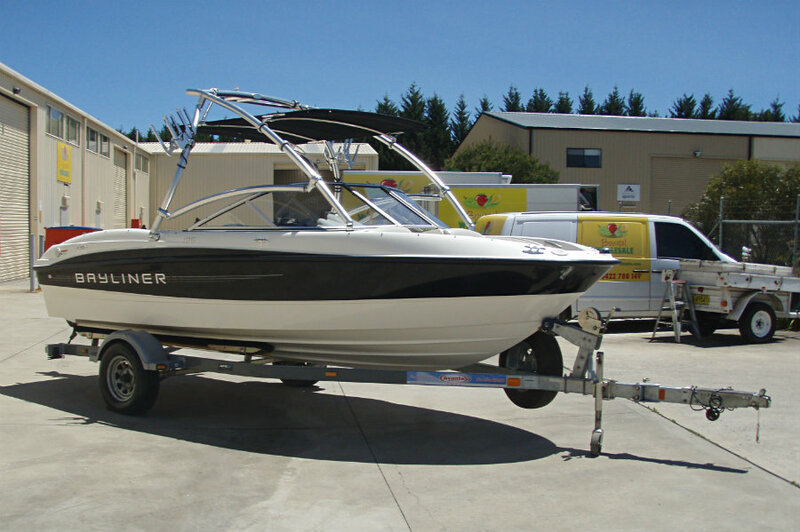 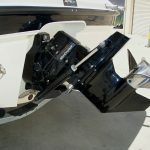 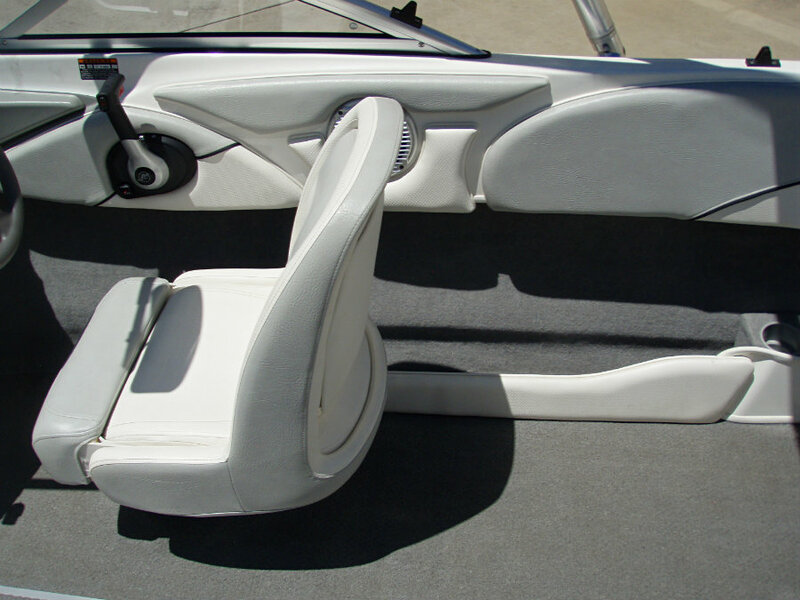 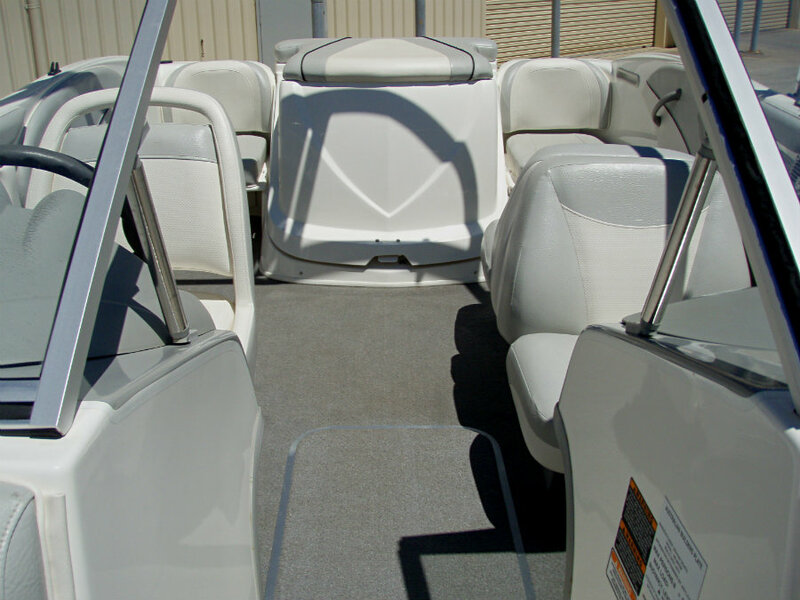 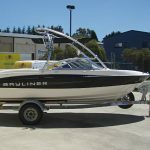 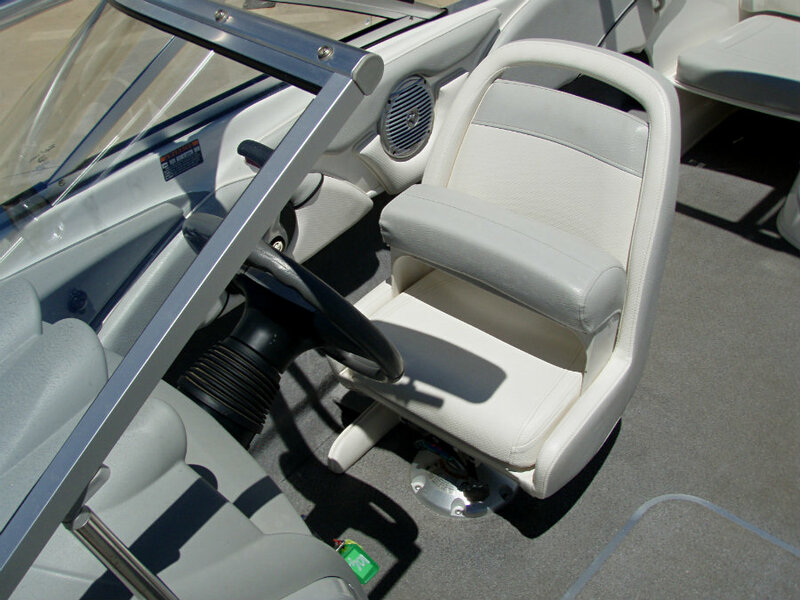 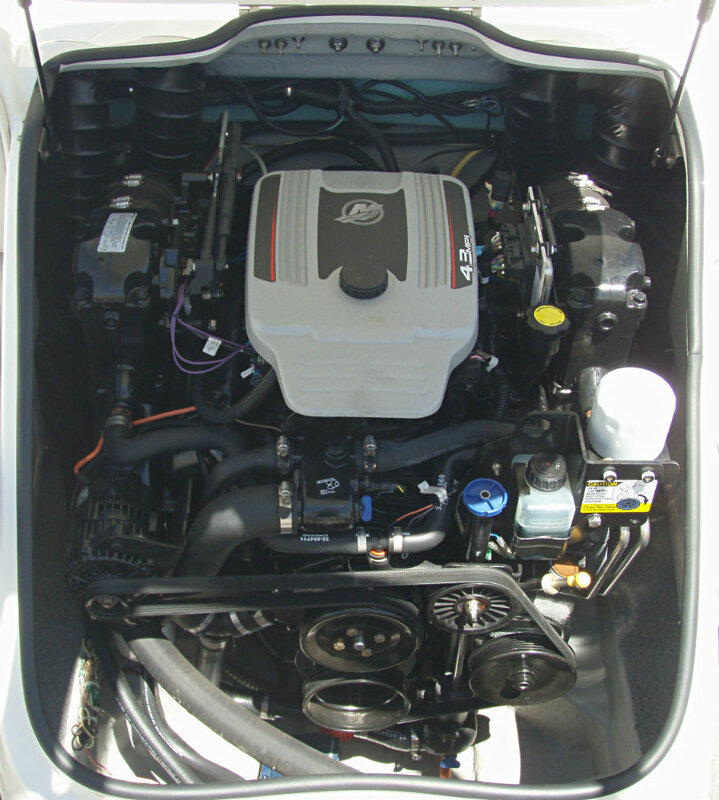 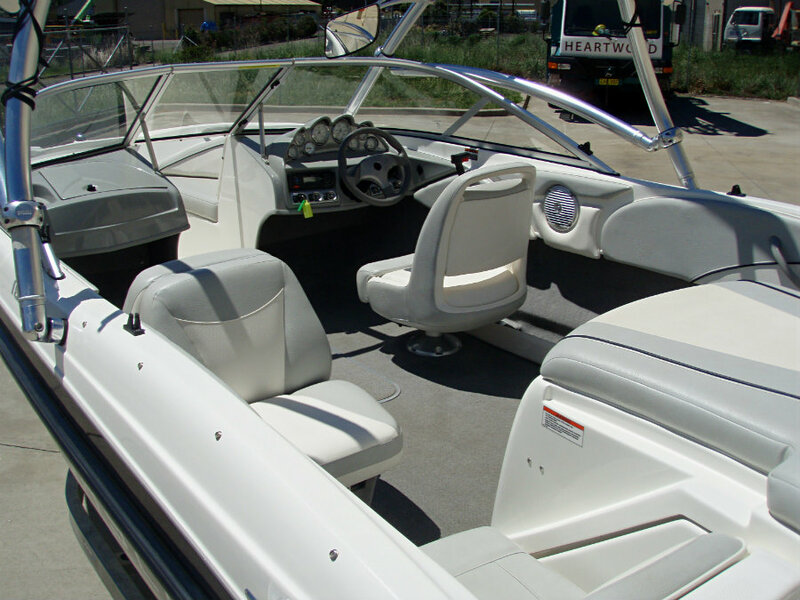 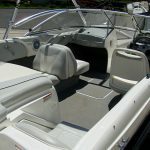 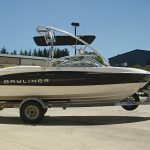 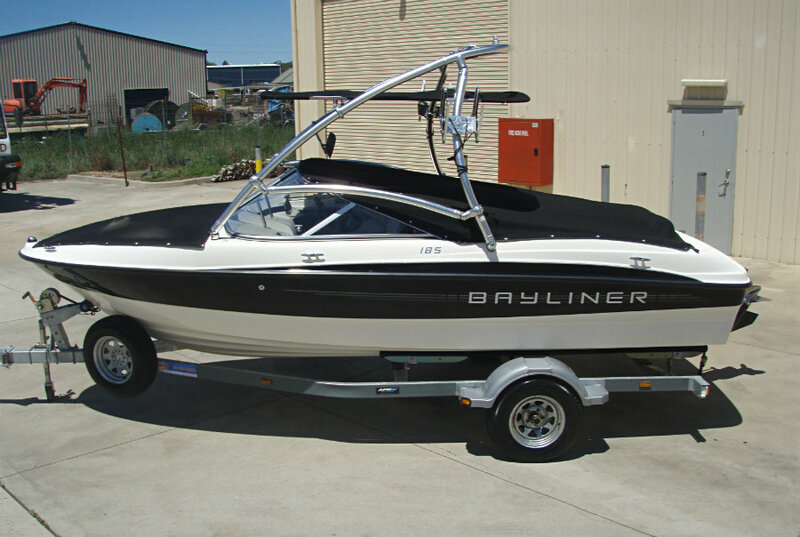 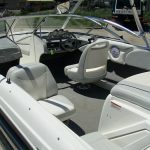 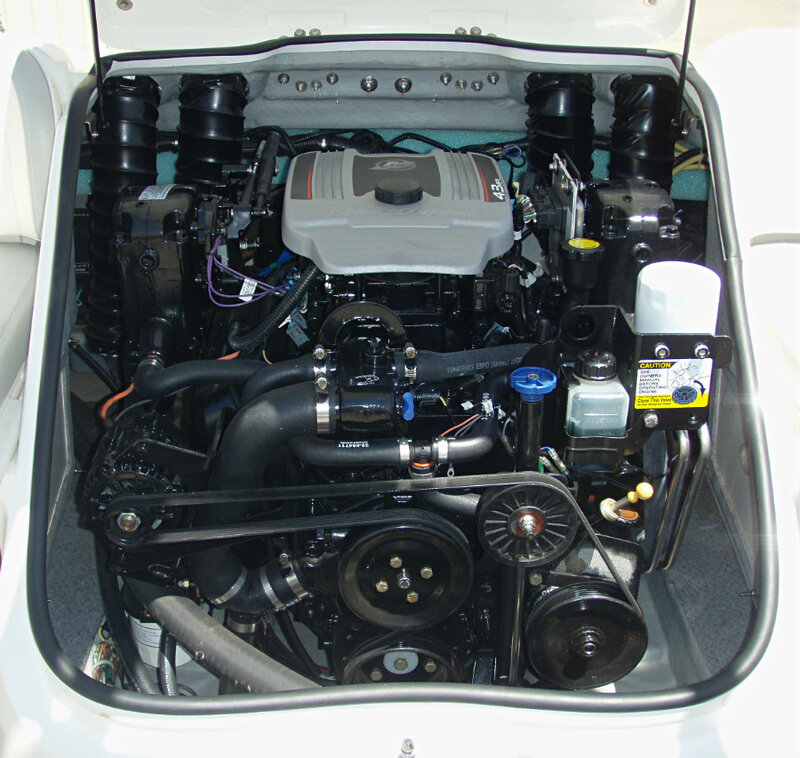 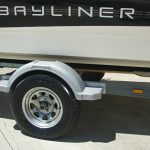 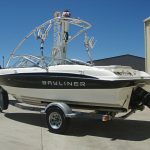 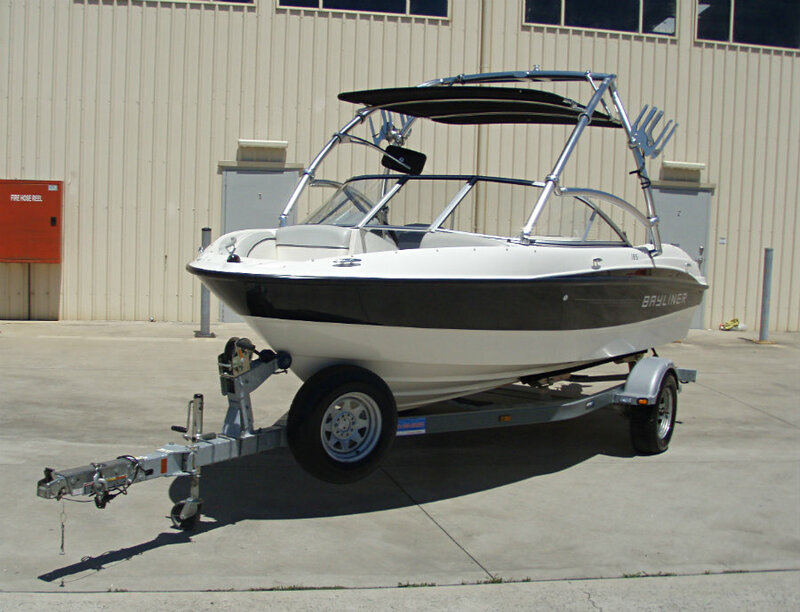 2011 Bayliner 185 Bowrider powered by a 4.3L V6 220hp MPI Mercruiser inboard engine with an Alpha One sterndrive leg and only 99 hours of FRESHWATER use. 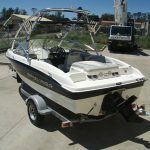 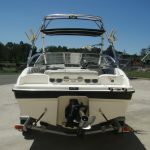 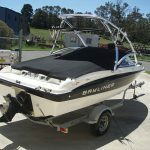 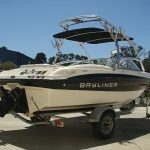 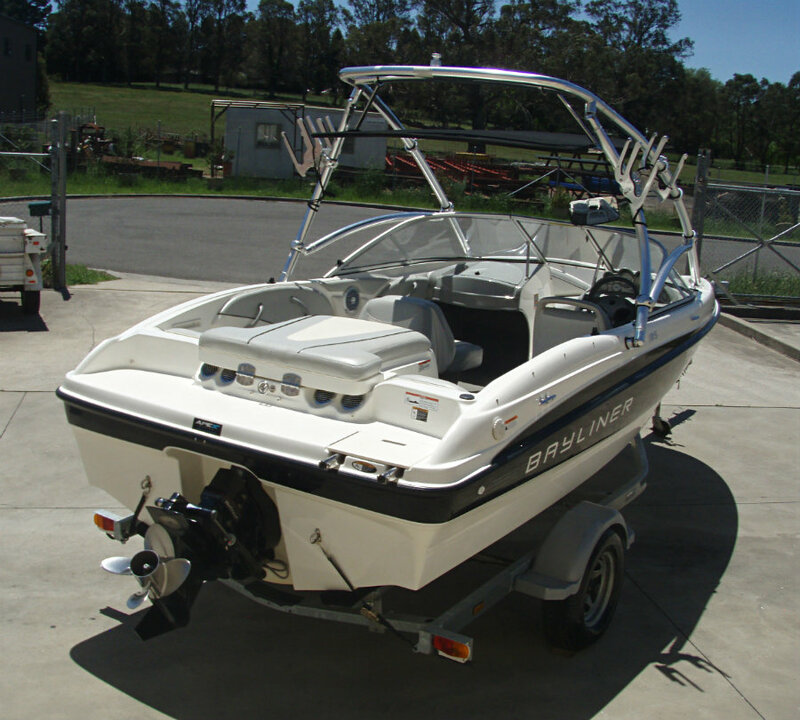 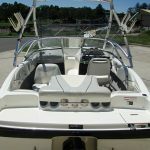 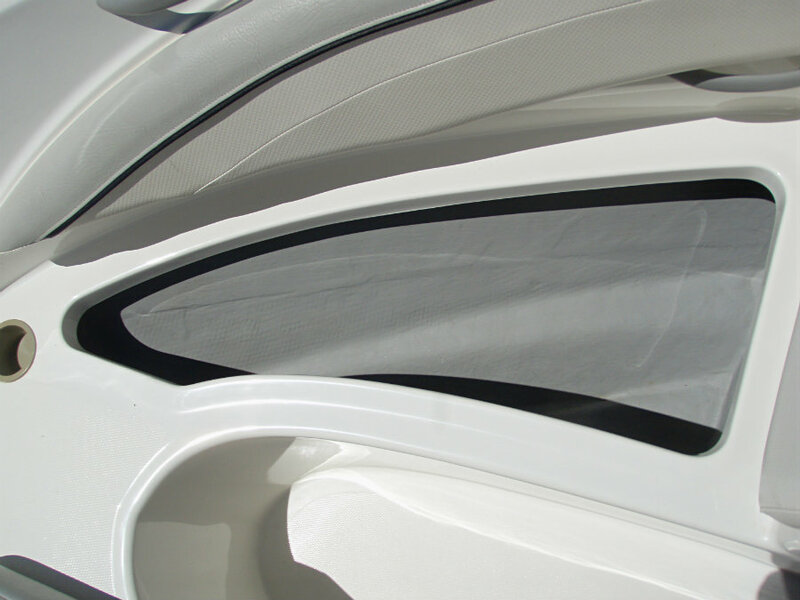 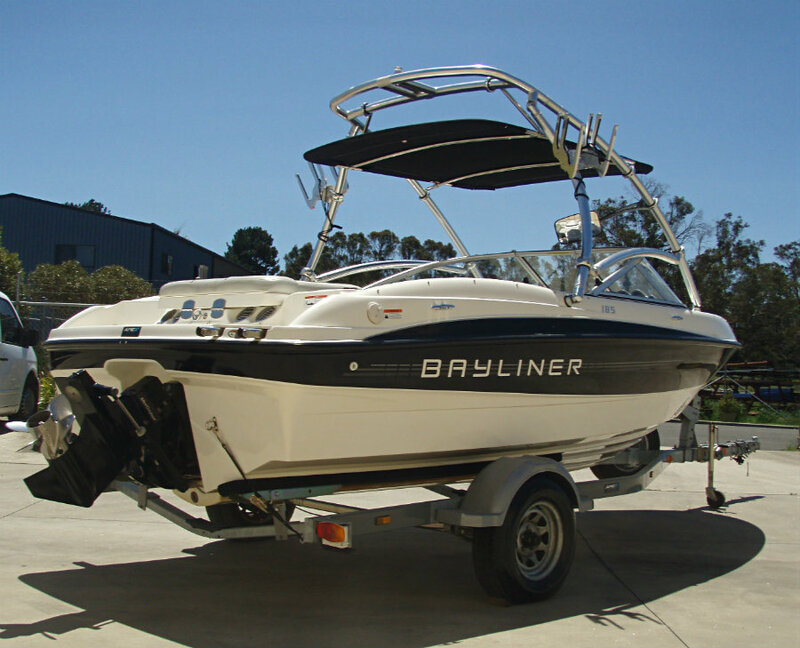 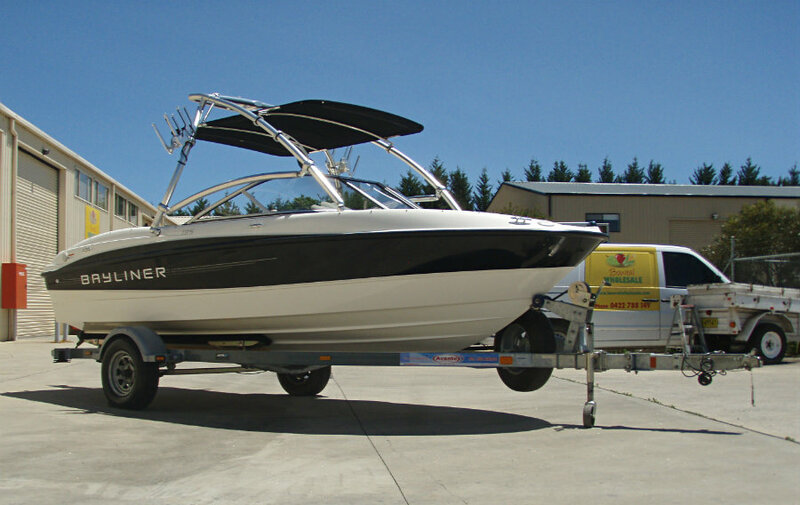 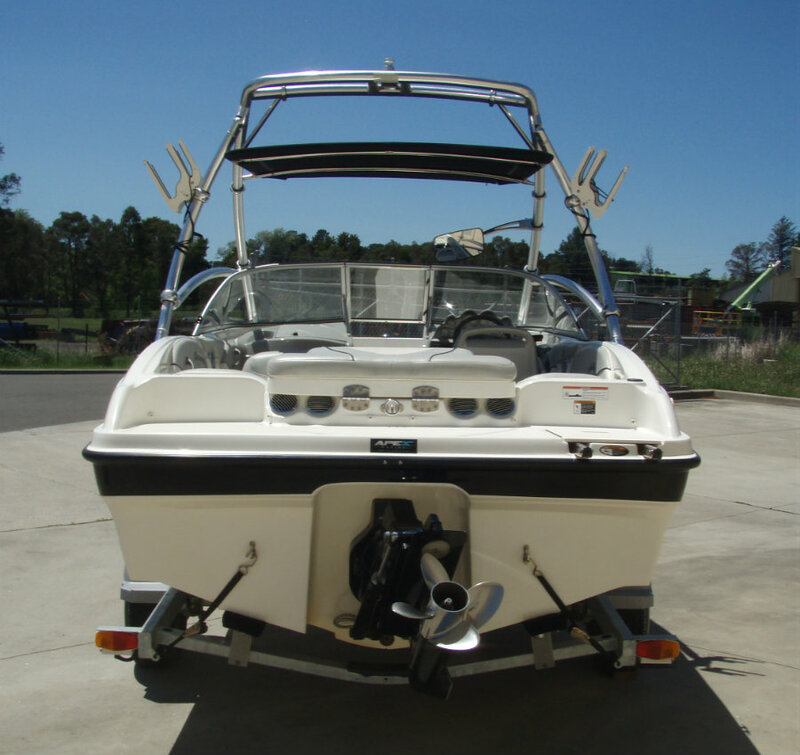 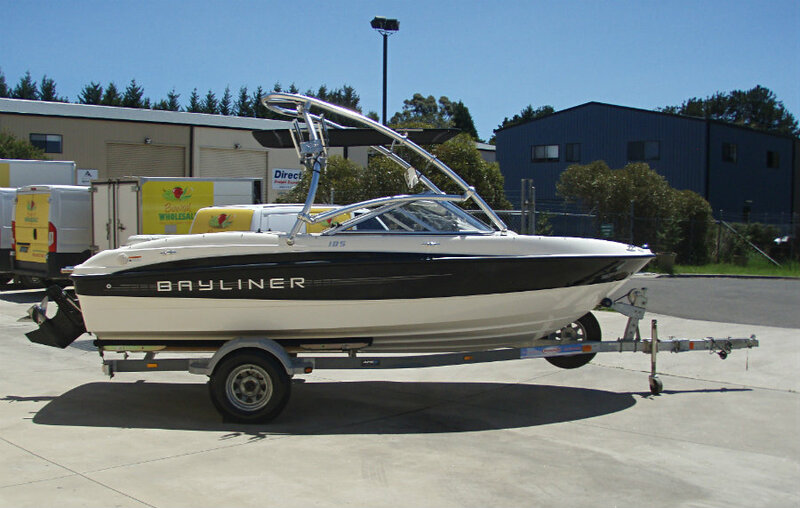 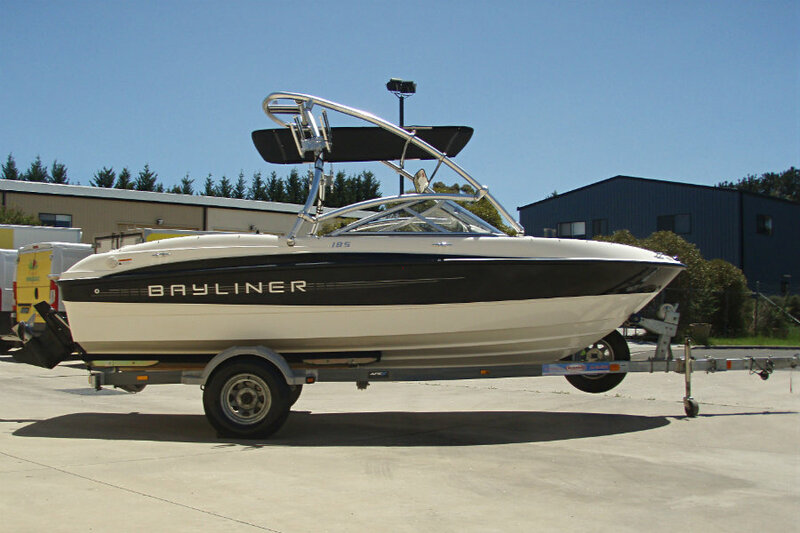 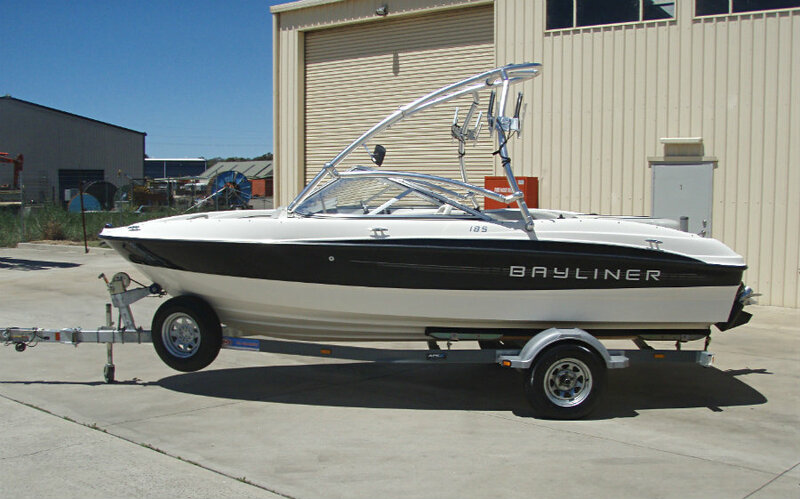 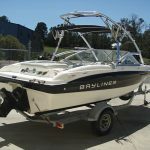 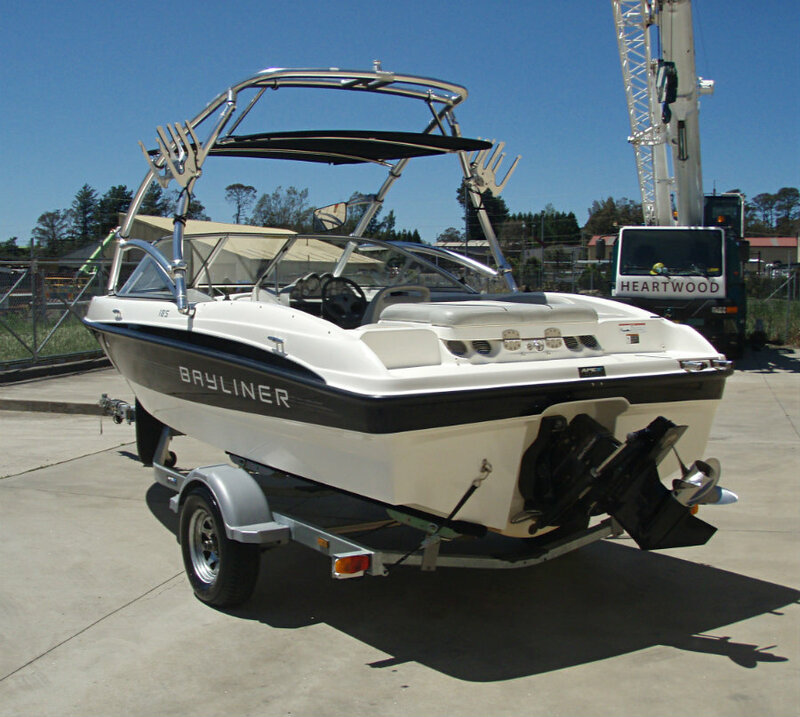 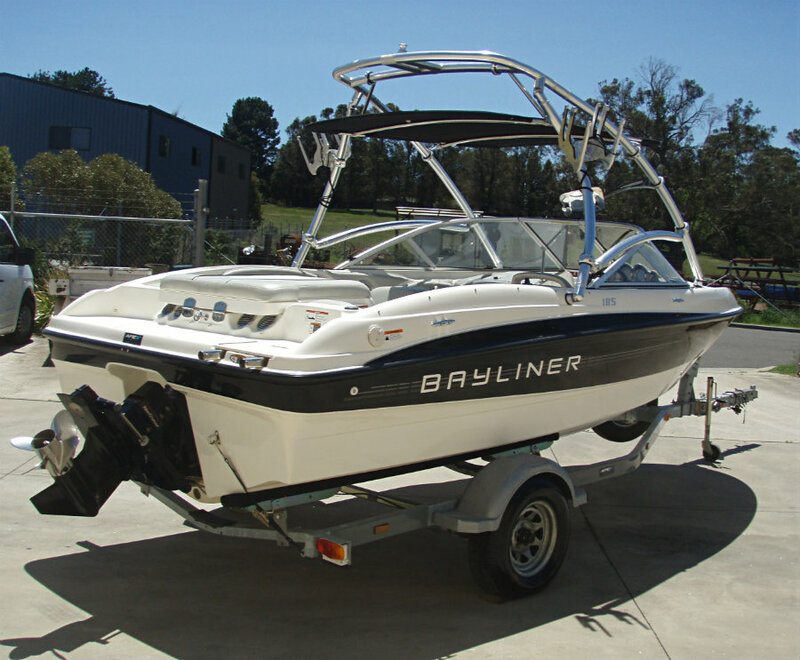 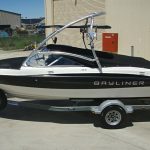 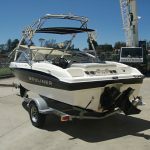 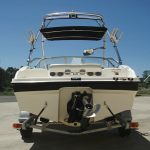 This Bayliner 185 bowrider offers those who are looking for watersports activity, especially skiing & wakeboarding, excellent value for money. 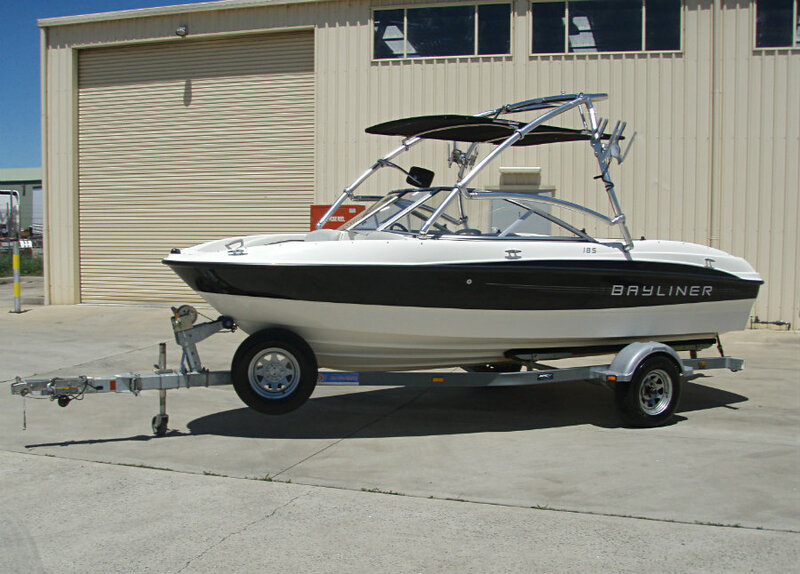 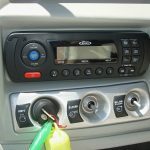 You will find that apart from being well finished, it has a very practical layout and is easy to tow. 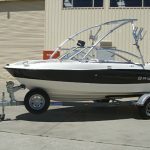 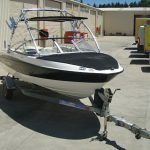 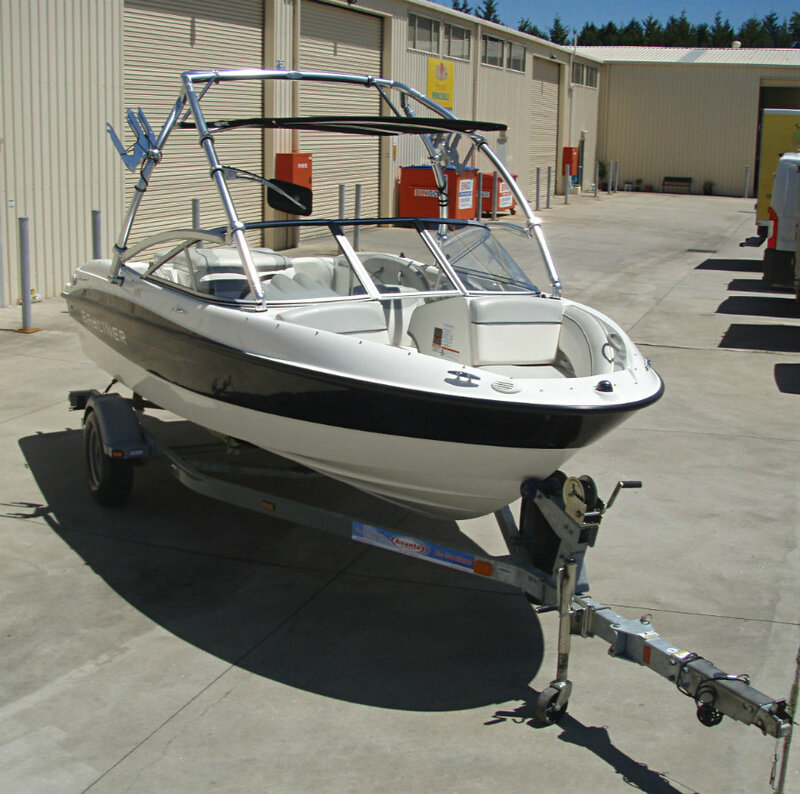 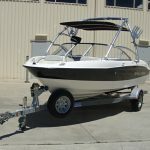 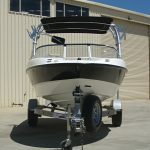 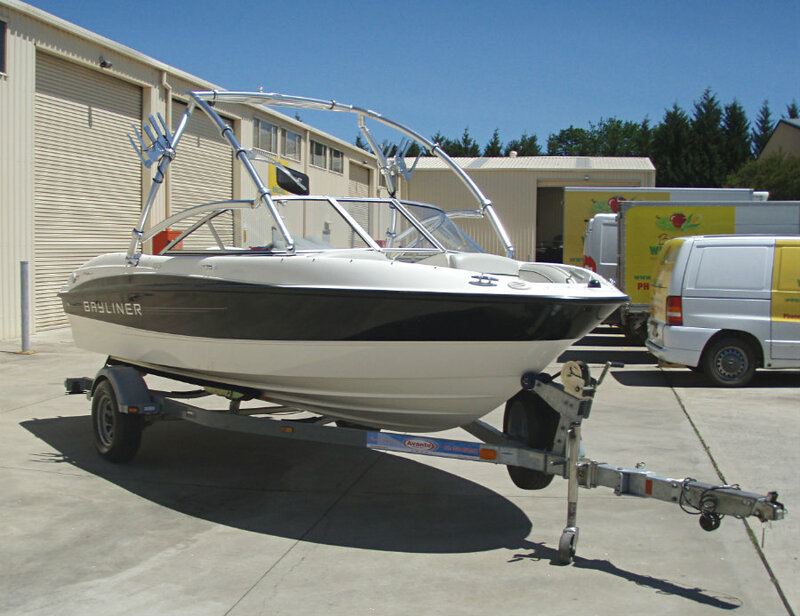 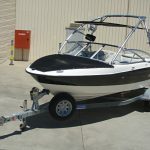 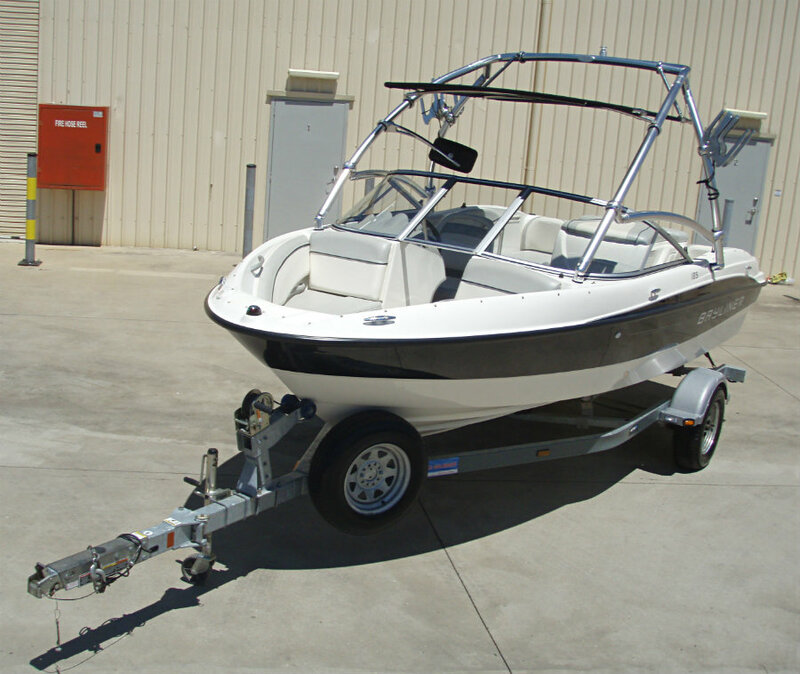 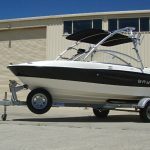 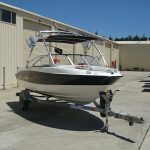 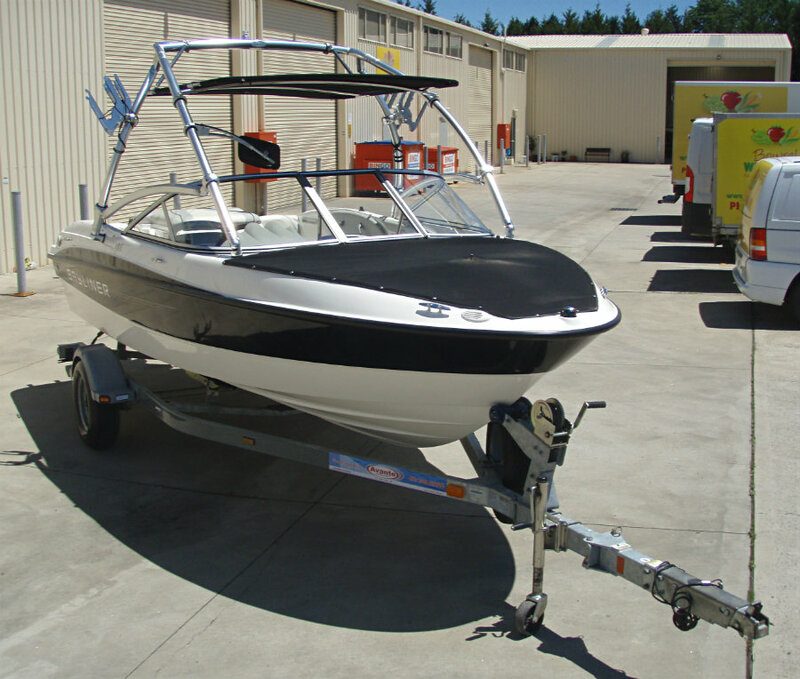 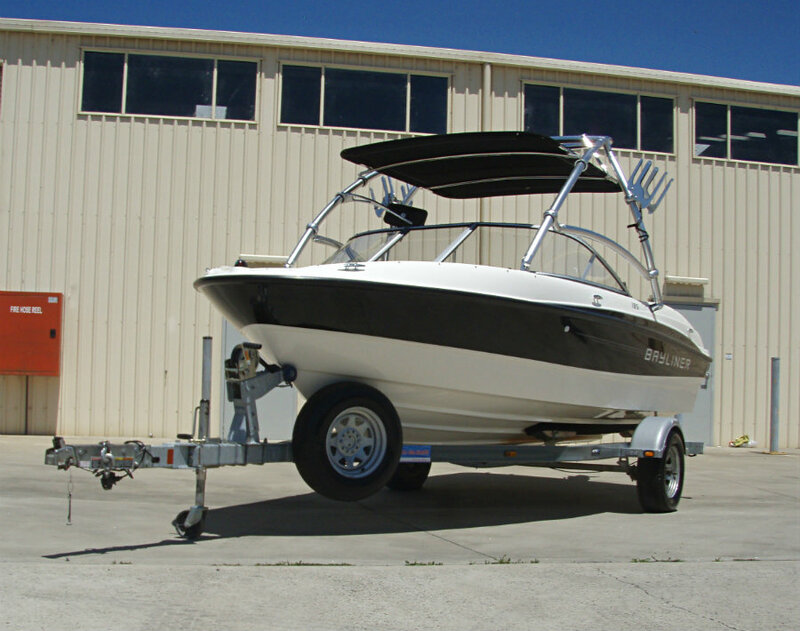 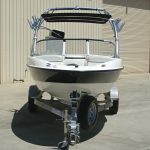 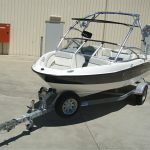 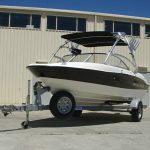 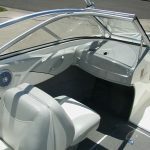 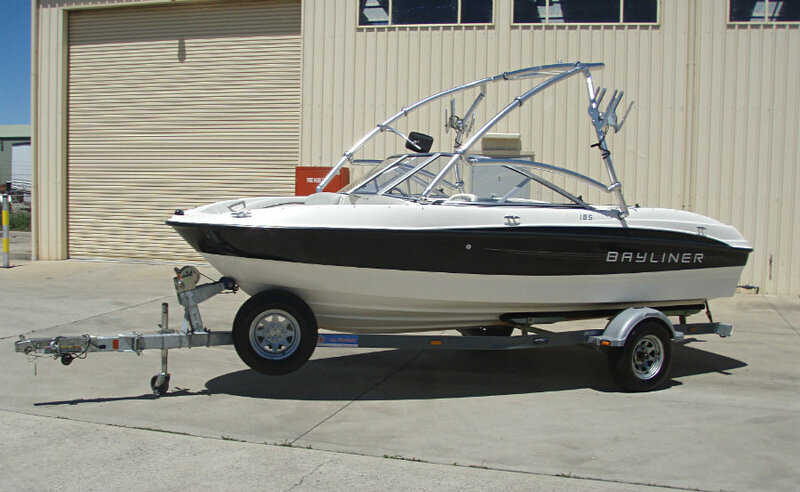 This particular boat is setup for watersports activity featuring an ‘Indy’ collapsible wakeboard tower, combo board racks, tower-mounted ski mirror, large tower-mounted bimini top & a stainless steel 4-blade propeller. 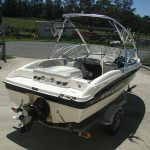 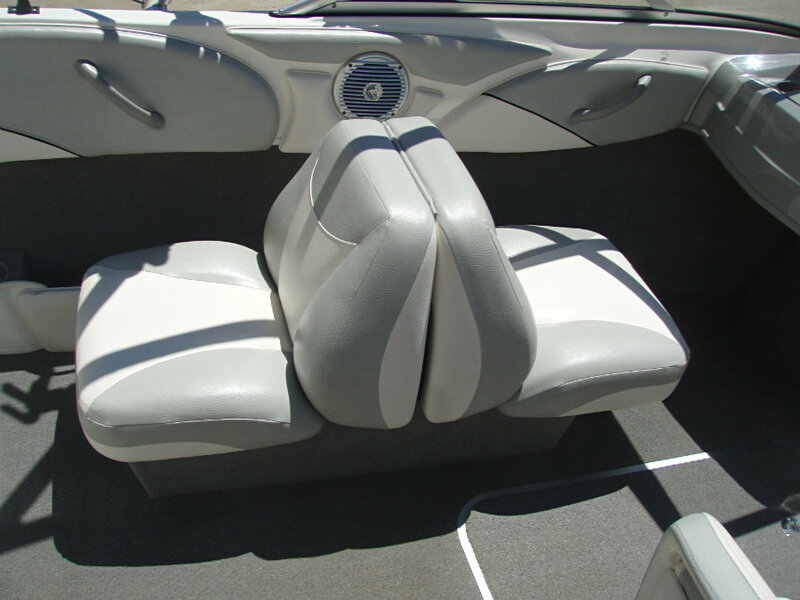 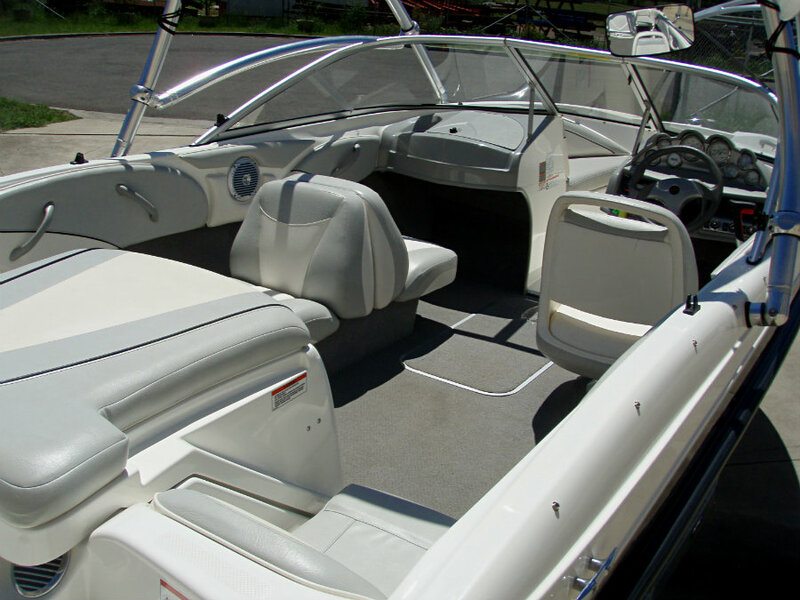 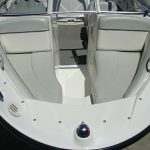 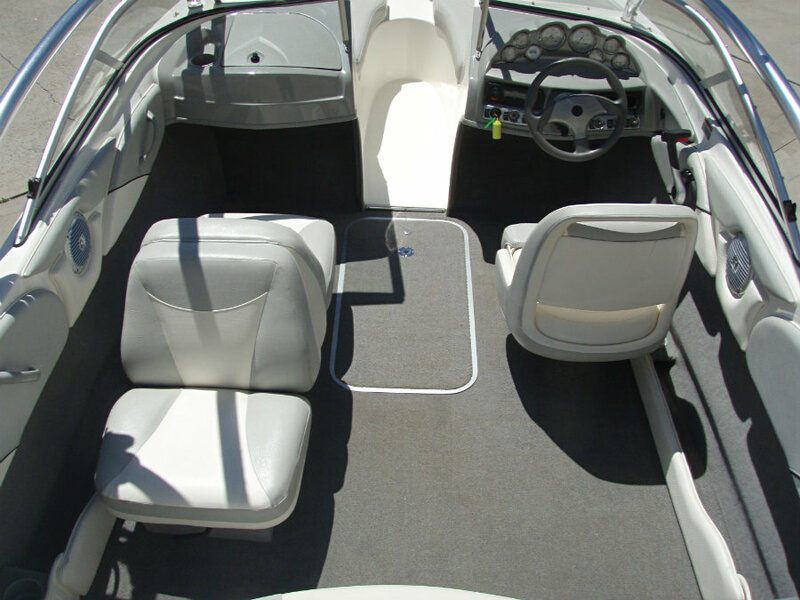 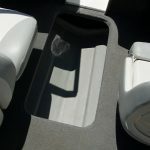 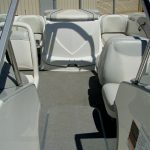 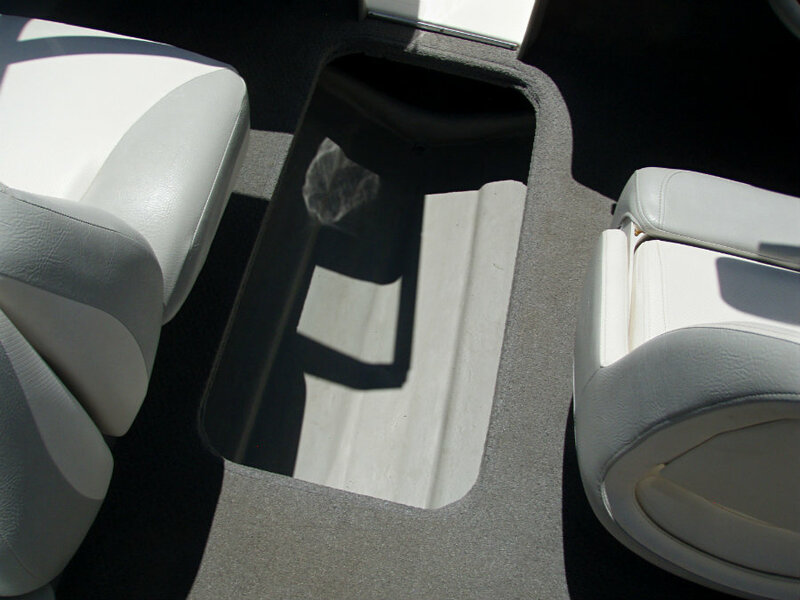 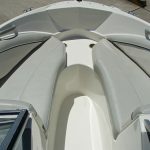 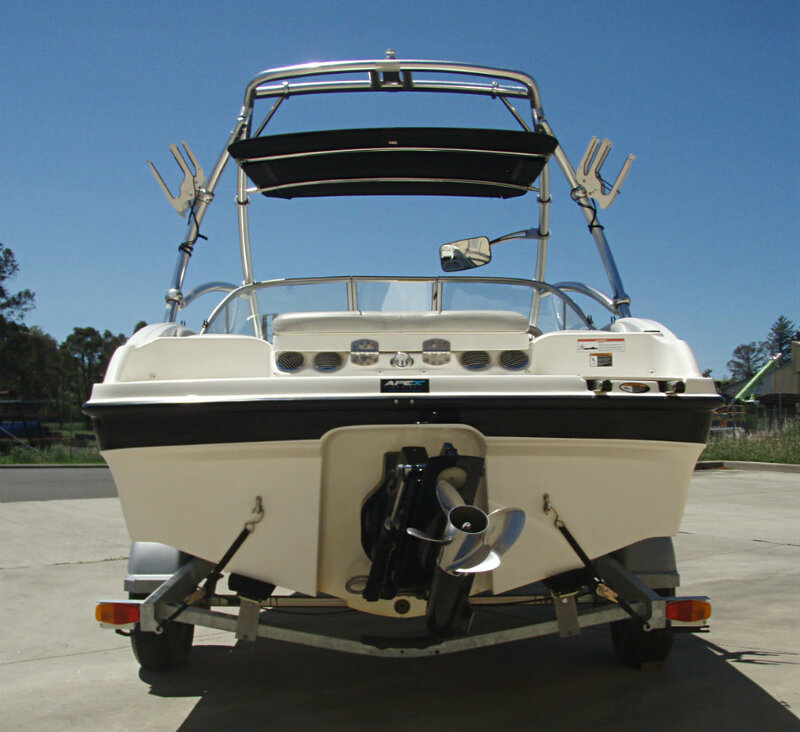 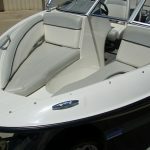 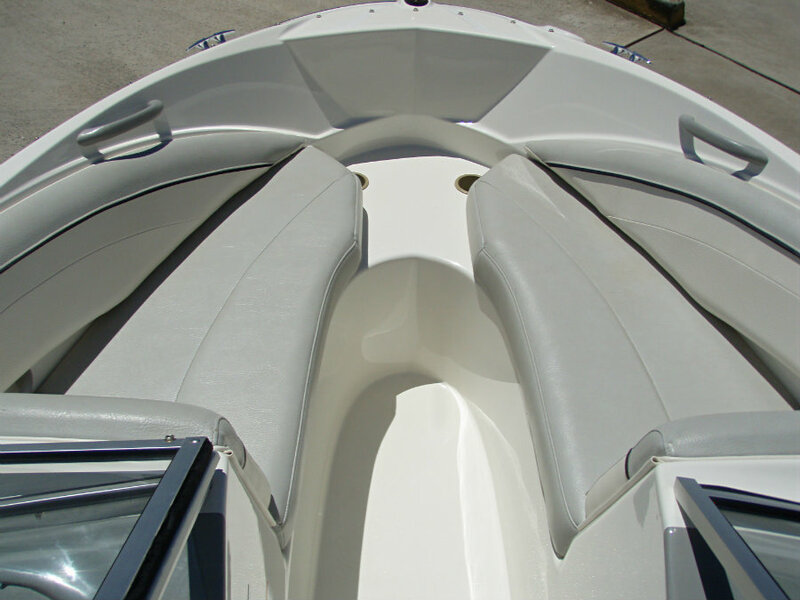 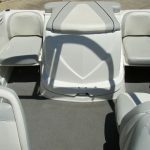 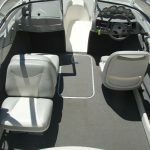 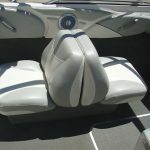 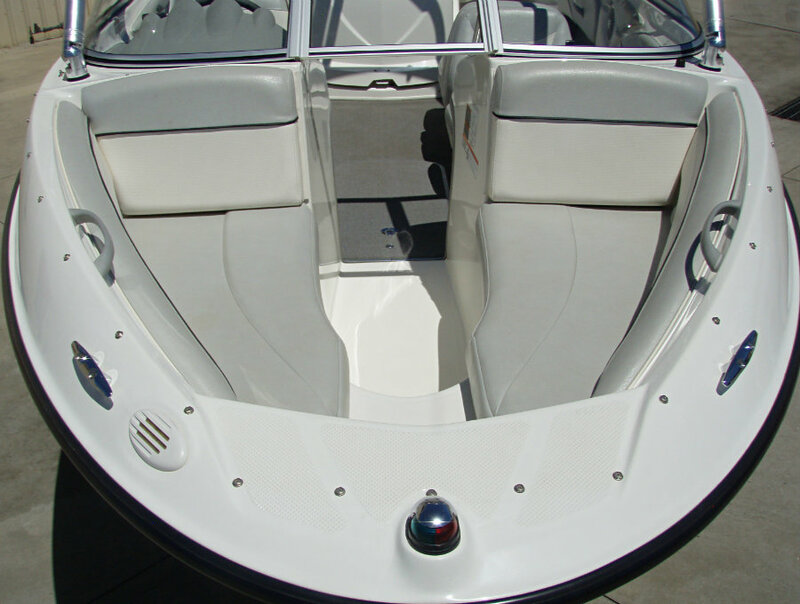 This 185 is a ‘one-owner’ from new boat, which is in excellent condition with only freshwater use. 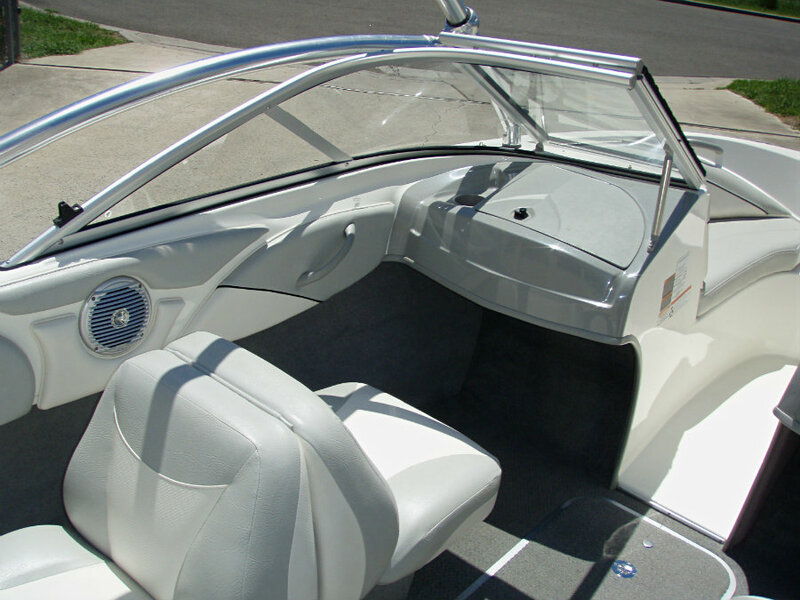 It has been always garaged & stored undercover, and has been well maintained in it’s short life. 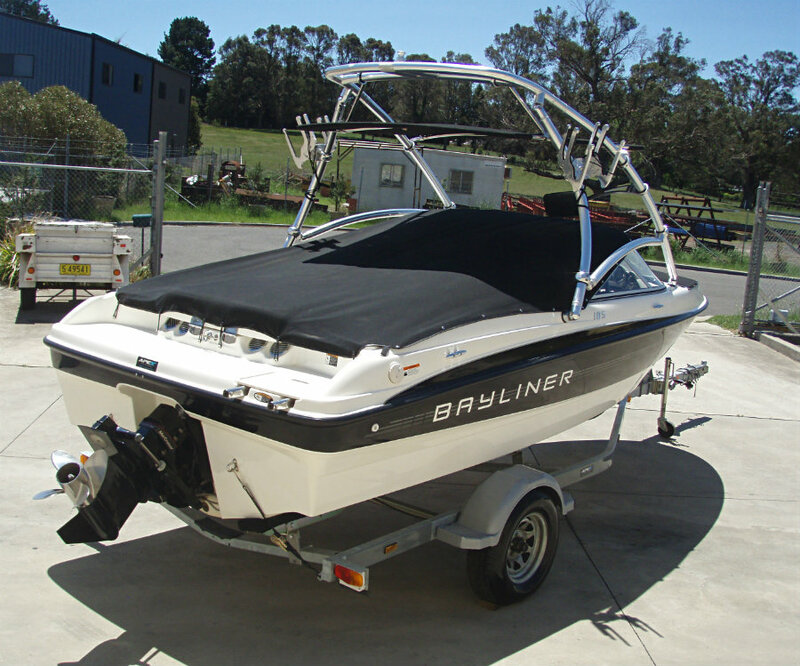 You will find the fibreglass/gelcoat, upholstery, carpet, trailer & engine all in excellent condition. 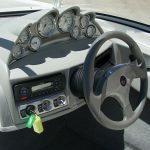 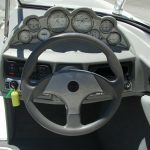 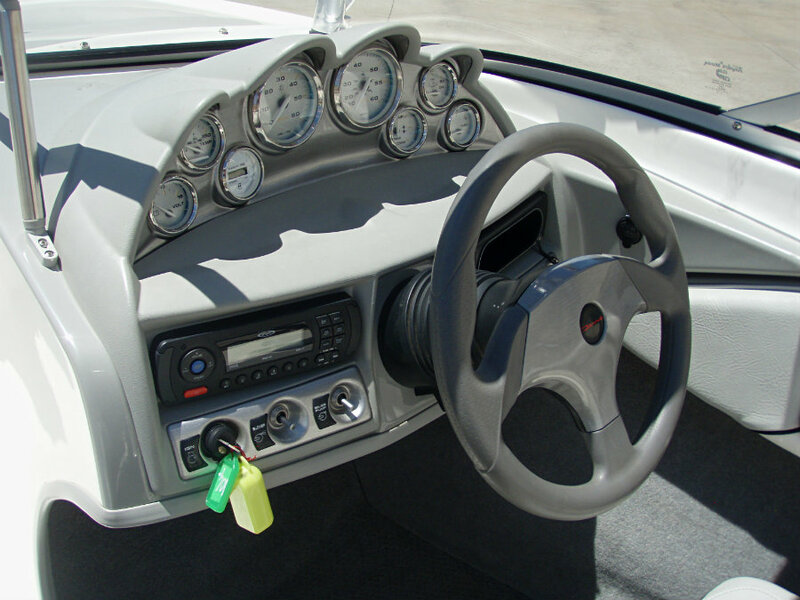 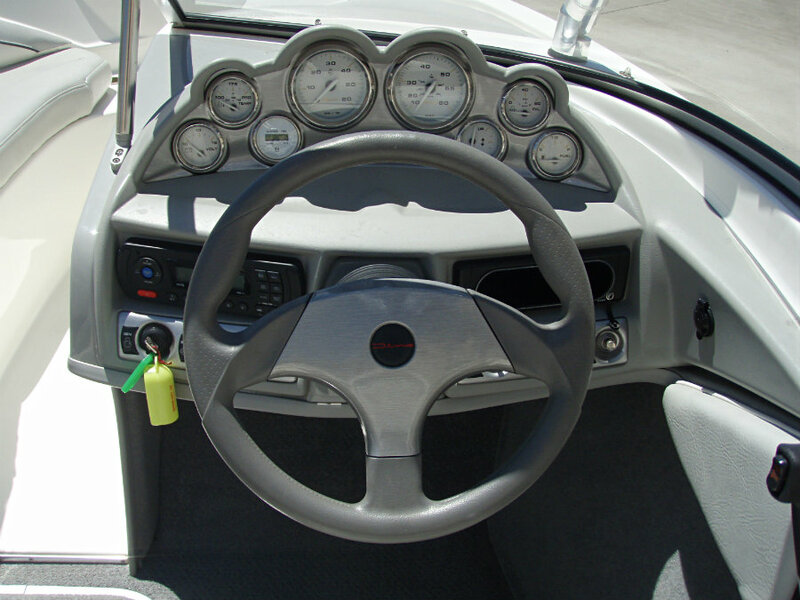 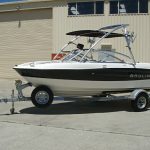 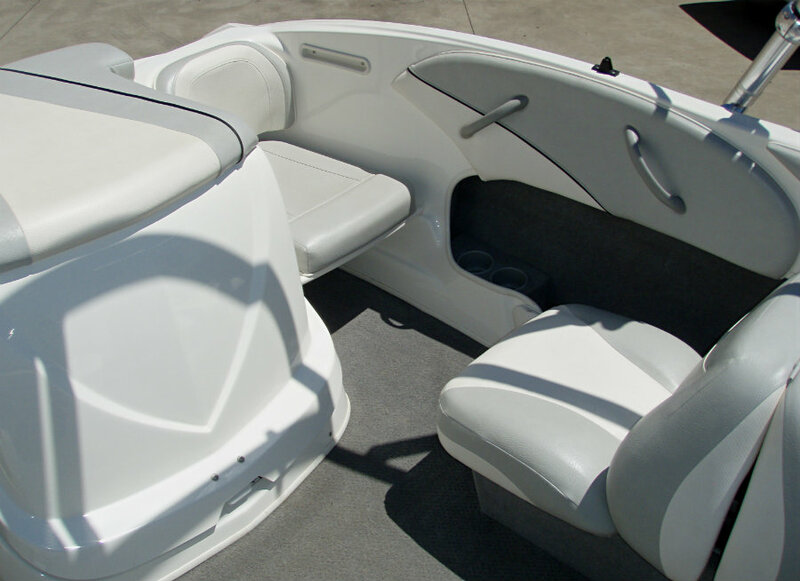 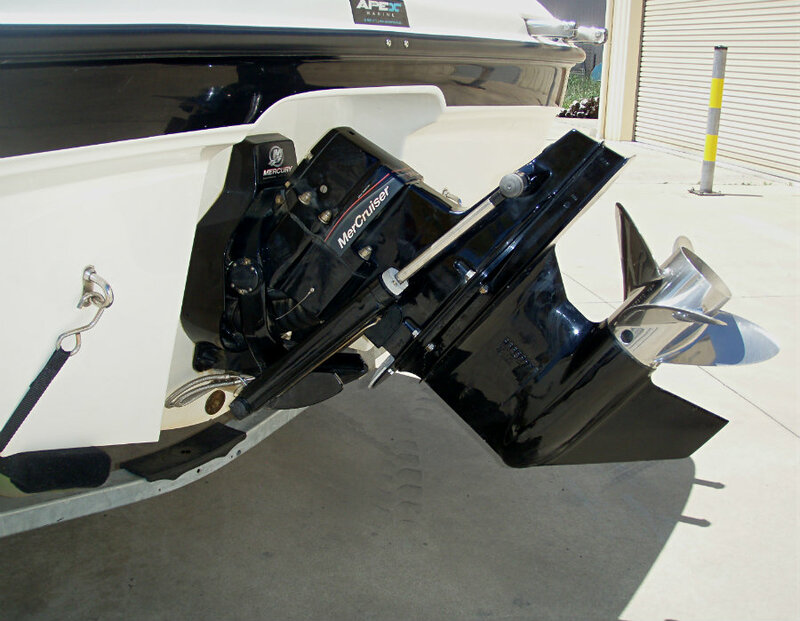 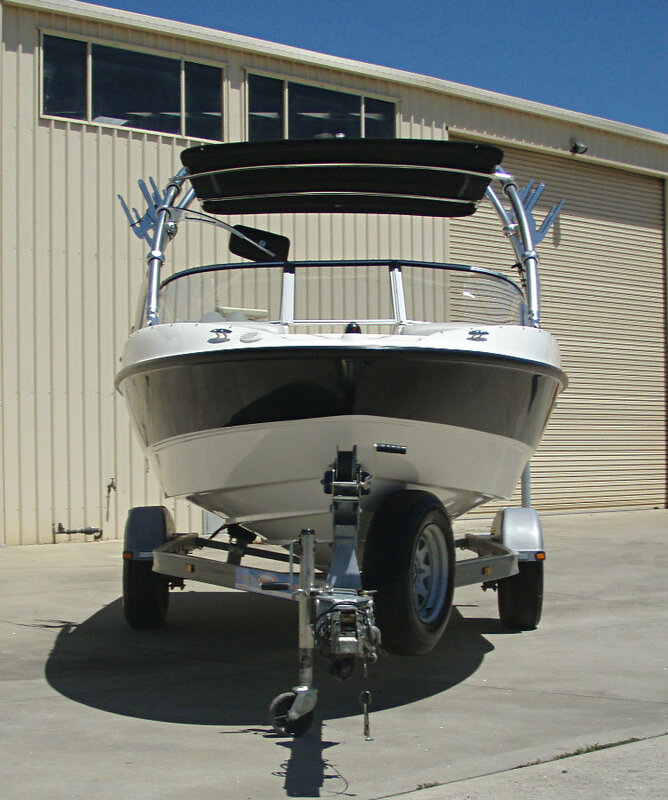 It has the stand out ‘black-on-white’ coloured hull, boasts the 4.3L V6 220hp MPI engine for more holeshot, features the back-to-back passenger and swivel pedestal driver seating arrangement, snap-on bow & cockpit covers and is fitted with a 4-blade stainless steel propeller. 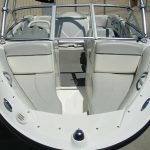 There is nothing extra to spend on this boat, it is all there!! 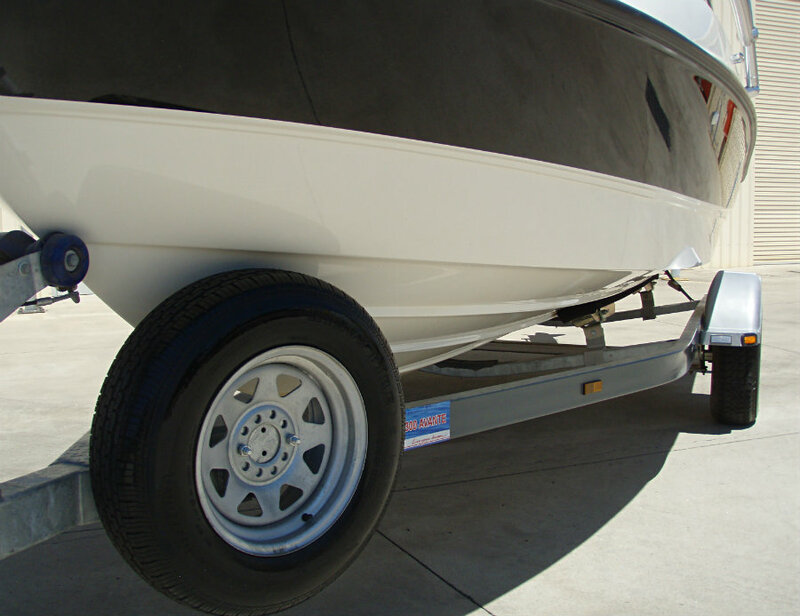 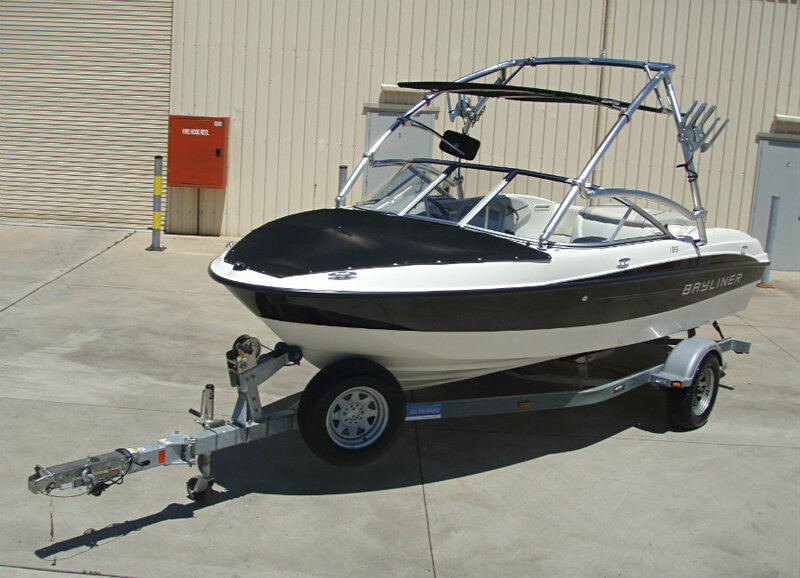 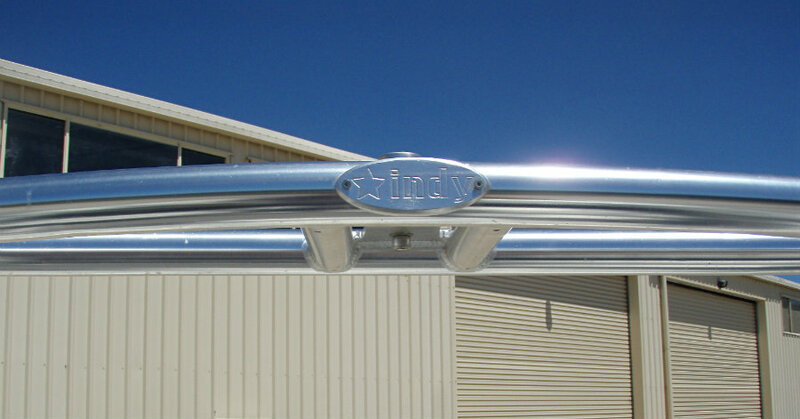 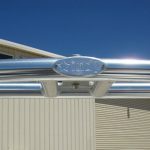 Both the vessel & trailer will come with twelve (12) months NSW registration.